The Goldman Sachs Group, Inc. provides investment banking, securities, and investment management services to corporations, financial institutions, governments, and individuals worldwide. 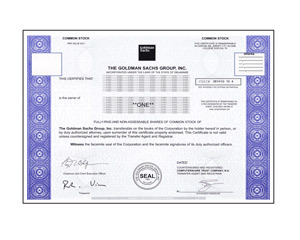 Goldman Sachs is one of the oldest and well-respected investment banks in the world. A fitting stock gift for just just about anyone.